Bloom Time: Early summer onwards. Add a tropical flair to your foundations and back borders with this colorful mix of red, orange, yellow or pink. 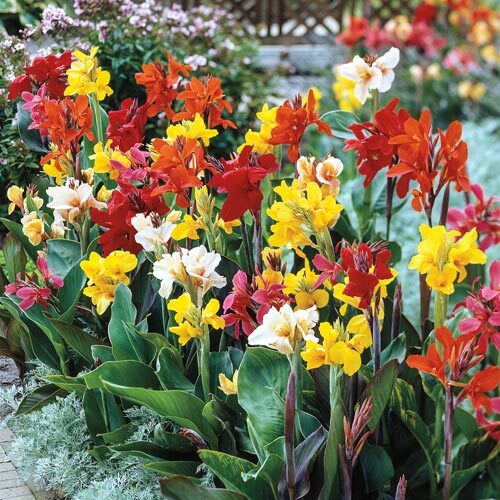 Cannas are known for their large, broad, tropical-looking foliage in hues of green and bronze and their large, flared flowers that bloom from summer to fall. These beloved perennials make the biggest impact when planted en masse, and this mix makes it easy to do that. Plant in sunny locations and enjoy the clusters of flowers. These brightly colored flowers also make excellent cut flowers for fresh floral arrangements. 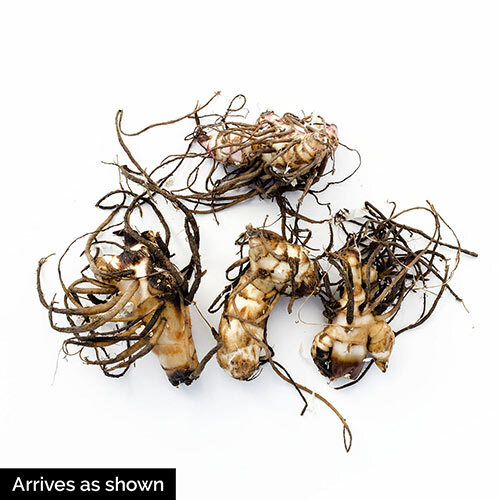 Cannas are not winter hardy, and the rhizomes should be lifted in the fall in zones 3-6. Foliage TypeLarge, broad, elliptical and tropical looking. Glaucous green, bright green or bronze foliage, depending on variety. PruningRemove spent flowers and flower stems. Additional InformationDwarf varieties foliage 24" - 30" tall, spread 18" - 24"